That's right! A whole month of Rioja red wines! And because I've got so many to get to, all of them will (probably) be short and sweet. So you won't have to deal with me babbling on or going off topic too much. Deal? Deal. So let's start it off right with my Wine Pick of the Month! I've got an affordable, consistently good quality for the price Tempranillo right here for ya that will not let you down. Campo Viejo was founded in 1964 by Pernod Ricard Bodegas, and has become a staple brand of Rioja. The color of the wine is crimson. The four months of oak aging shows on the nose with vanilla and cloves, but it's still plenty fruity with aromas of cherry cola and strawberry jam. On the palate it's light body with dusty tannin and shining acidity. There's flavors of cherries, blueberries, dried tea leaf, and vanilla. It finishes with tart cranberries and oak. I said this was consistent quality and it really is. 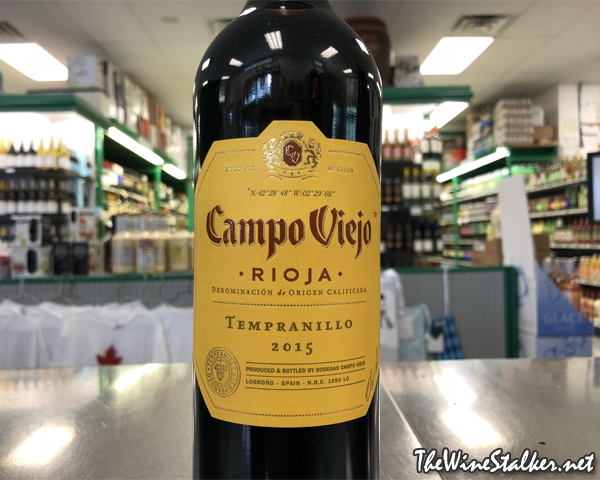 Year to year Campo Viejo's Tempranillo is always a safe bet, never failing to provide good stuff for your dollar.